Philippine Drug Enforcement Agency (PDEA) agents seized P510,000-shabu from four suspected drug pushers, including a nephew of jailed Sen. Leila de Lima, in two separate drug operations in Iriga City last Friday afternoon. Francis Manuel de Lima, alias “Bong,” 39, of Barangay San Agustin, Iriga City, was caught selling suspected shabu to an undercover agent in a room at Sam’s Apartelle at around 5:10 p.m., said Christian Frivaldo, acting director of PDEA 5 (Bicol). The senator has been detained on drug trafficking charges at the Philippine National Police (PNP) Custodial Center at Camp Crame since February last year. High-profile inmates tagged De Lima as protector of drug lords who maintained a narcotics factory inside the New Bilibid Prison (NBP) during her term as justice secretary under the administration of former President Benigno Aquino. According to Frivaldo, De Lima is a high-value target on the PDEA’s drug watch list. He was also quoted as saying De Lima is a nephew of the senator who is also facing drug-related charges. Recovered from De Lima were seven plastic sachets of suspected shabu, weighing 25 grams with an estimated street value of P170,000. In an earlier drug buy-bust at 2:45 p.m. in a room at the Lendes Hotel in Barangay San Isidro, PDEA operatives had arrested Ariel Regaspi, 40, of Barangay San Vicente, Bato, Joan Sabanal, 28, of Barangay San Isidro, and Alicia Mae Dice, 19, of Barangay San Francisco. PDEA operatives confiscated from the suspects 50 grams of suspected shabu worth P340,000. They also recovered a digital weighing scale, cell phone and a marked P1,000 bill. The suspects did not resist arrest. They were brought to the PDEA detention facility in Naga City. Frivaldo said the suspects arrested at the Lendez Hotel were reportedly drug couriers who get their supply from De Lima. Drug convicts are expected to take the witness stand against Senator De Lima after she lost a court appeal to disqualify criminal offenders as witnesses. 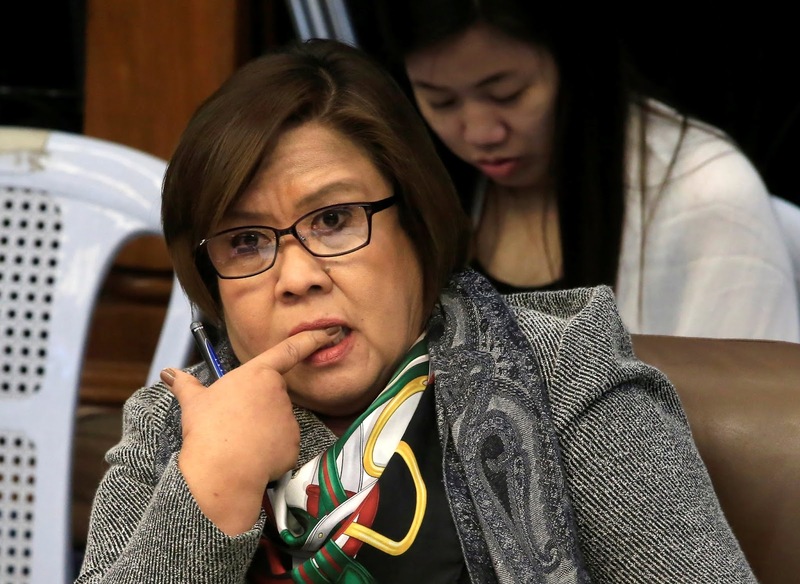 De Lima did not take lightly the court decision as she accused Muntinlupa Regional Trial Court (RTC) Branch 206 Judge Lorna Navarro Domingo of issuing a premature court order. “I was disappointed to find out that Judge Navarro Domingo hastily junked my said motion for allegedly being ‘devoid of merit’ without considering the period she herself had given for my legal team to file a Reply,” De Lima said. Domingo signed an order on 24 September junking De Lima’s appeal. Domingo said it was the discretion of the Department of Justice (DoJ) to assess the witness protection program law when it turned the convicts into state witnesses. “The Court adopts Rule 130 of the Revised Rules of Criminal Procedure Section 20 provides that all persons who can perceive, and perceiving can make known their perception to others, may be witnesses,” Domingo said in her decision.